Let me testify to the difficulty of reading about shu while drinking The Simple Leaf's Firefly Darjeeling. I have enough difficulty sorting out my mixed feelings about Firefly without adding the imagined tastes and textures of this shu to the confusion. Overbrewing does not seem to be an issue with shu! For me also there was something unusual about it, perhaps just that (as Hop has said) it is less sweet and more tasting of grains than expected. On the other hand, I didn't find that "rubbery" or "industrial" quality that you and VL refer to. I will brew up a second batch tonight to look for it, although I'm not so sure I want to find it! It's like looking under the bed for the bogey man: success is sometimes the worst kind of failure. In my short experience with shu, I also have not found anything tending toward the "infinite" of your apt C. S. Lewis quotation. The best have been comforting, rather monotone, and very satisfying, with over-the-top sweetness and a chocolately feel to them, but nothing like a complex fine tea. There may be great shu in the world, but from my experience so far I place them in the comfort food class alongside grilled cheese sandwiches. Thank you for the sensitive evaluation of the tea on its own terms. 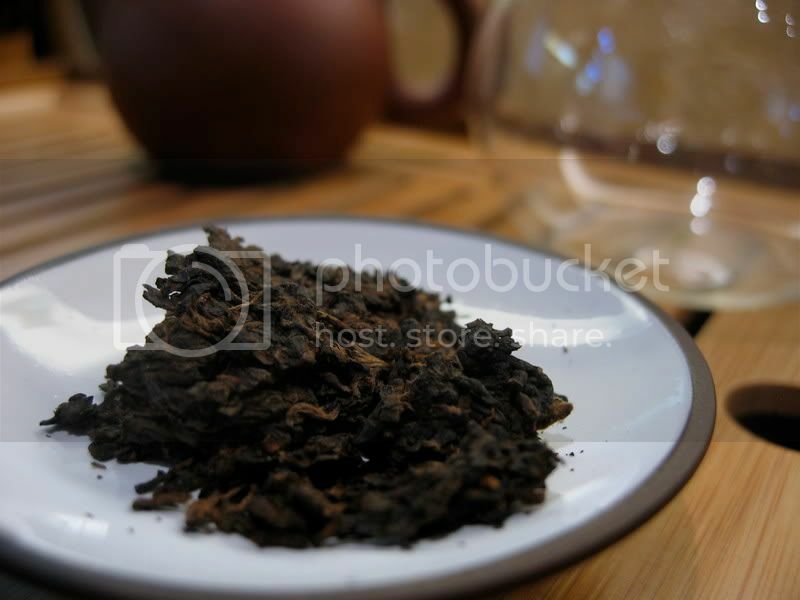 Really enjoyed your post on this Pu-erh. It must have been a fun day. 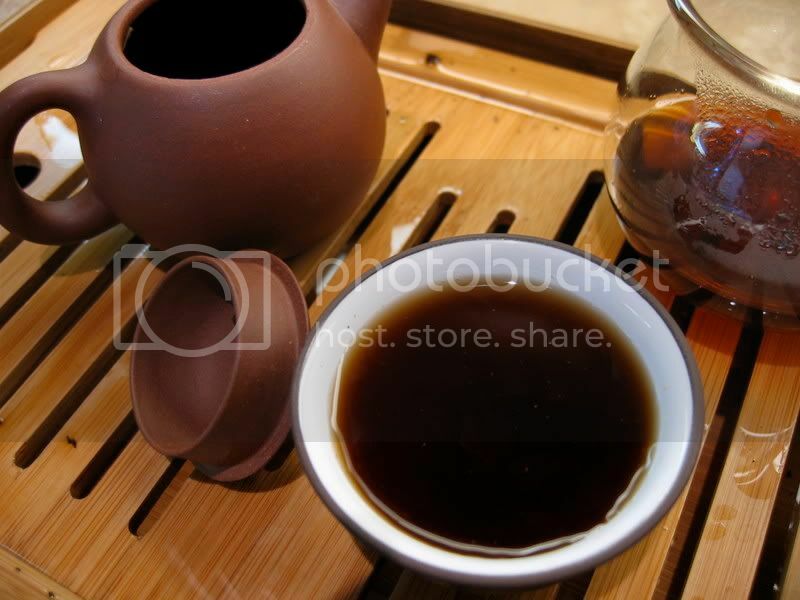 I too am very inexperienced in pu-erh but have tried some recently and become fascinated with it. So many questions to dig into. Kind of why I started my goofy little blog. To share my journey. Curious which brew you liked best? Well, so much to enjoy. I'm actually drinking a pu-erh now that I picked up from Ten Ren tea shop here near Washington D.C. Ended up liking the one that cost half as much. But that's the cool thing about this - every cup of a new tea, every new brew of that same tea leaf is a slightly different experience. I'm yapping too much. I appreciate your writing. Thanks for the comment, I'm glad you liked the post! I'm sorry though; it has been so long since I wrote this that I forget which steep I liked most. May I ask where I can find your blog? I'd like to read it sometime.